Golden Sands is one of Bulgaria’s main seaside resorts, and has been for a long time - and for a good reason. Fine sand between your toes, crystal-clear water, and temperate weather – what’s not to like? Golden Sands has seen a lot of interest from tourists all around the world. That’s exactly why the resort has become the home of ever more hotels throughout the years. The beaches are still relatively untouched. The weather in Golden Sands is temperate and not too hot. It’s the perfect place to have a nice vacation without worrying about extremely high temperatures. The beach season usually starts in May and ends in early October. With daily temperatures of 27 - 30°C, Golden Sands is one of the best resorts to visit in Bulgaria. Nearby Aladzha Monastery and a plump forest belt, allow visitors to escape from all the hustle and bustle, and have a relaxing walk among the trees. Throughout the summertime, you can expect about 15 hours of daylight. Getting up early (while the temperature is still about 20°C) is one way to avoid the crowds arriving to the beach later in the day. With about 5-6 rainy days per month, you will have plenty of time to enjoy the variety of outdoor activities that are available in the resort. The Black Sea coast benefits from a very pleasant climate – moderate summers and mild winters. The breeze is a blessing during the summer. However, from October to April, the chilly gusts can be quite annoying. Still, the great temperatures and weather from May to October open a 6-month window for plans, so you have more than enough time to enjoy a great vacation in Bulgaria. Aside from temperatures, you can expect almost 300 days of sunshine throughout the year. You don’t have to visit just for the beach season. The nearby historical landmarks, sports activities, and some hotels are available 24/7/365. 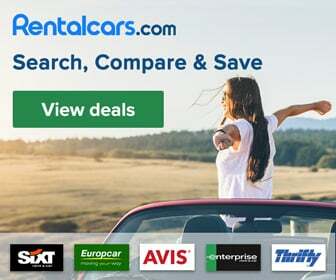 You can still hike around the lush nature, hire a car from Rent A Car and visit nearby cities, then end your day with some professional world class spa treatments. Golden Sands Resort is truly a gem. The temperate climate allows tourists to visit at any point throughout the year and still be able to enjoy numerous activities. However, most beach resorts close for the winter season. The great thing about the Bulgarian Black Sea coastline is that everything is so close to each other, and with Golden Sands being near the middle of the Bulgarian coast, you will be able to reach many other destinations in mere hours.